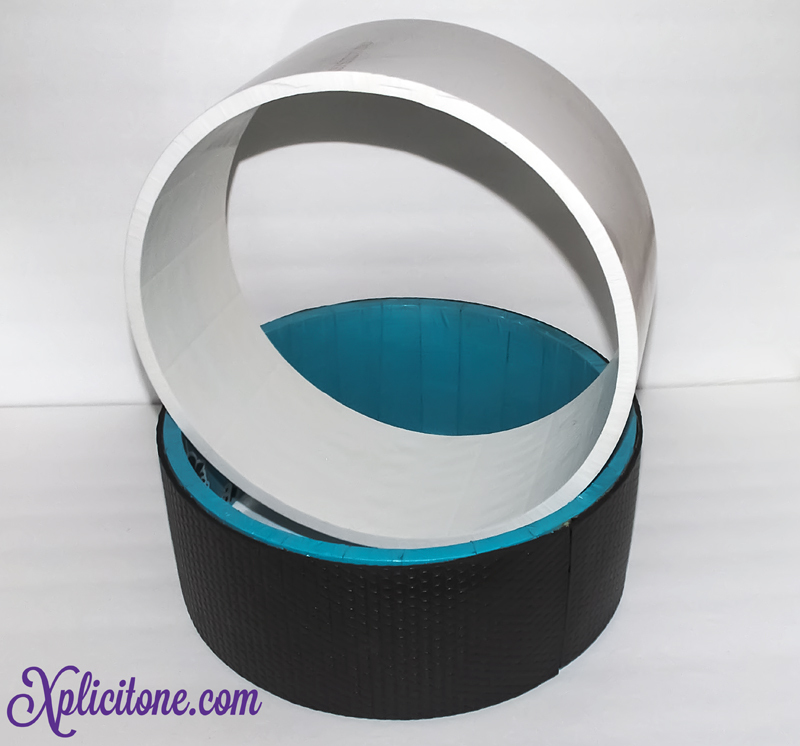 Here’s a DIY Tutorial on making your own yoga wheel. That’s right I will provide the entire list, where you can buy the items and the process of building your own yoga wheel! So, let’s begin. Yoga Mat: Feel free to grab one from Marshalls, Ross Stores, or wherever you want to buy it. Marshalls, Ross, and TJ Maxx usually has a good selection ranging from $8-$16. I leave this up to you, choose whatever you like… Have Fun! This is an idea of the type of clamp you should use. When I bought mines they were on clearance at Walmart. 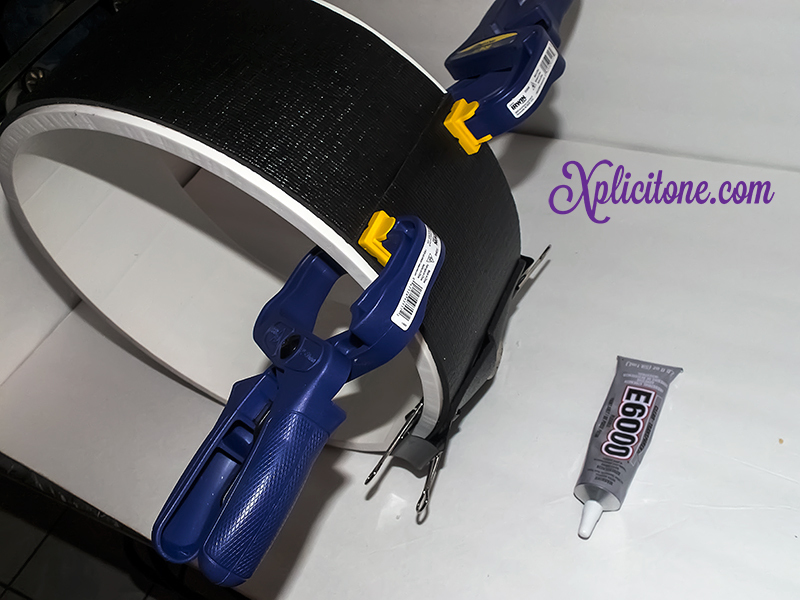 I suggest you should get the adjustable clamp grippers, for the fact that you can adjust the now tight you want to clamp the mat to the PVC pipe. Plus I didn’t know if the pinching clamps would damage the mat while the glue dry. Scissors/Utility Knife: Make sure to use heavy duty scissors or a good quality utility knife that will ensure a nice clean cut. Optional: Tsquare for straight cuts. 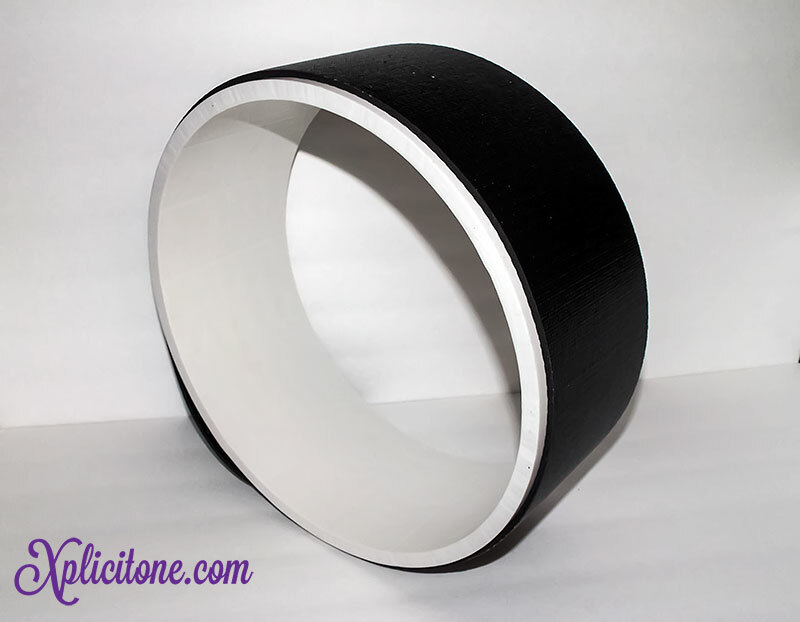 To smooth the sides of your PVC pipe, preferably a fine/medium texture. Just incase your pipe is a little jagged. You can get these at Walmart, Lowes, Home Depot and etc. It’s what I used for the Teal look. 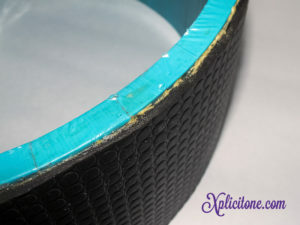 Just a little advice, with wear and tear the tape will event get bruised and show signs of wear. 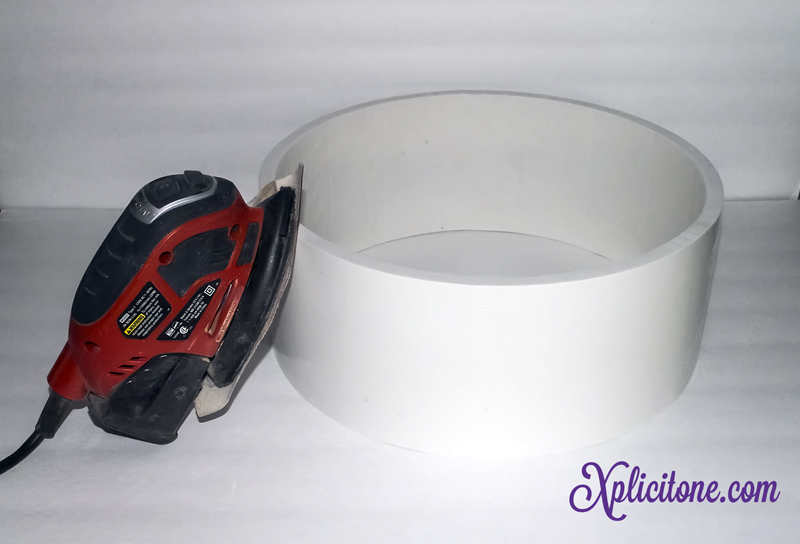 Small bucket/container of mild soap and water, to prep and clean your pvc pipe for color and glue. 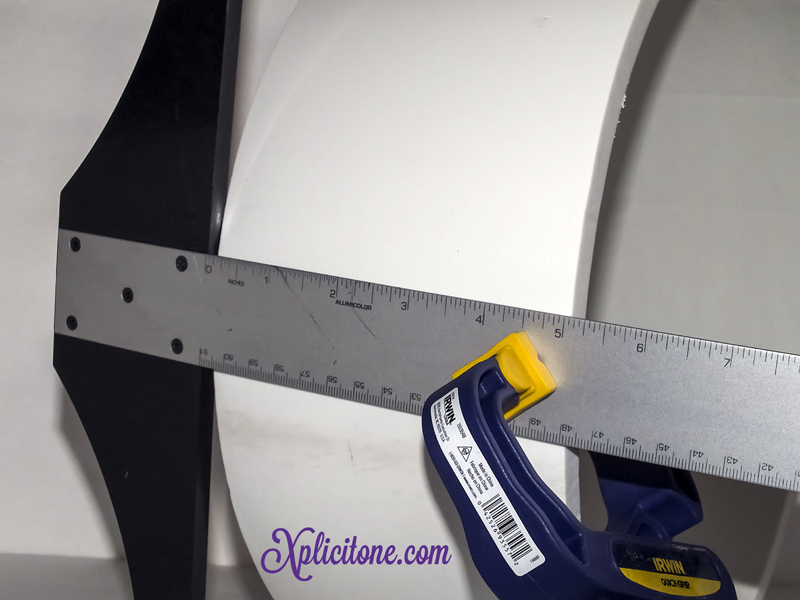 Working on a clean pvc pipe surface makes everything run smoother. Gather all materials and prepare your working area. If you want, you can always place a cardboard box under your materials to protect your working area. Also make sure the area is well lit and well ventilated if you are going to spray paint your yoga wheel. While you gather and prep the area, this will be a good time to clean your wheel. This way it can dry while you gather the materials. If you are planning to sand your wheel, now is the time to do so. After sanding the pvc pipe, you should clean it by rinsing it with soap and water to properly remove any of the dust off the wheel. This step is optional! It is up to you if you would like to clean your wheel or not but is strongly suggested if you are sanding it! Sanding the Yoga Wheel with the Black and Decker sander. It was a lot faster. Next up, my wheels have 2 different widths, one is 5″ and the other is 6″. 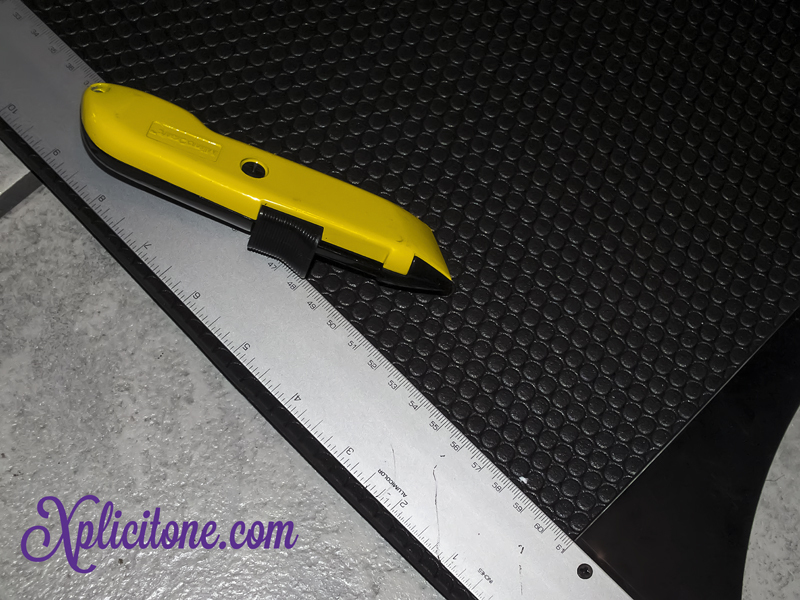 For the 6″ width wheel, I decided to cut the yoga mat with a width of 5.5″ width. The 5″ width yoga wheel, the mat was cut at 4.75″ width. After cutting your mat pieces, just double check by wrapping the mats around the wheel to ensure you are happy with the coverage. ADDING COLOR: If you choose to color your wheel, now is the time to do so. For the Duct tape application, the tape was cut in horizontal strips and adhere to the wheel. The seams meet at the middle on the outside of the wheel, this way the mid-seams can be covered by the yoga mat. Continue to lay the strips to cover the entire wheel, or you can get creative and make a pinstripe wheel. Let your imagination run wild. Spray painting: be sure to execute this action in a well ventilated area. You can place a cardboard box under the bare wheel to protect the area. The best way to paint the wheel, is to lay it flat on its and spray away. 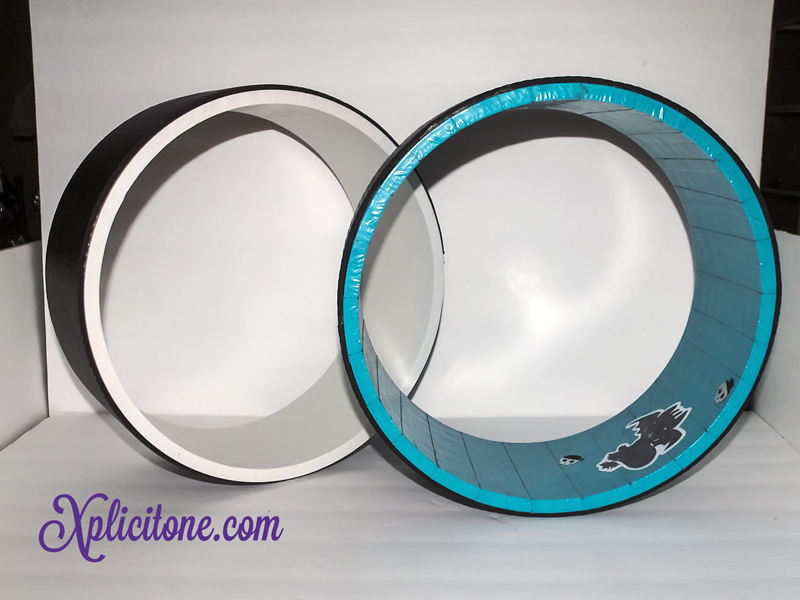 You can just paint the outside one color and leave the inside white, its up to your choice how you want to decorate the wheel. If you are painting the entire wheel, spray paint it flat, let it dry the rotate it to the other side to ensure it is completely painted. Let the paint dry for 1-2 hours and reapply another coat. Please follow the spray can directions completely for proper application. Here comes the fun part, GLUING! Glue in sections, and reinforce the mats position by securing it with the clamps. I couldn’t find my other 2 clamps so I had to improvise by using binder clips. Binder clips don’t have adjustable grips, so I placed a piece of scrap yoga mat cutting in between the mat and binder clip. This way the grip of the binder clip doesn’t cut the mat. For each section, I gave it 30 minutes of adhering time and moved on to the next section. Keep going until you’ve reached the end. If you have extra mat hanging, feel free to use the utility knife to cut away extra fabric. You’ve made your Yoga Wheel! As excited as you are, allow the glue to cure for 48-72 hours. Leave your wheel alone for 2-3 days. Afterwards, you are free practice to your hearts content. I’ve messed around with Gorilla Glue before, and understand it’s properties but I still used it so I could show you an example. It’s a great glue, but at the same time it creates a filler foam which doesn’t look attractive. Also, its messy to clean up and doesn’t dry clear. Looks pretty cool and allows you to get creative with your wheel. You can use a solid color, or a designed print of your choice. As time progress, signs of wear and tear becomes noticeable. Friction, handling, and environmental area plays a huge factor. The tape will get bruised and will eventually get rip and will start tearing. How soon these signs shows depends on usage. 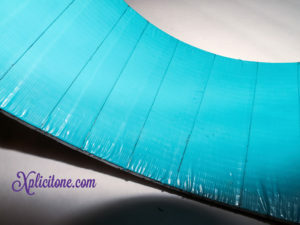 Also, with time the adhesive sticky fabric will move around and dirt stains will start showing on the edges of the strips. Dust and dirt will stick to sticky adhesive causing brown edges. So if you are planing to use tape be prepare to either patch it up or remove it. 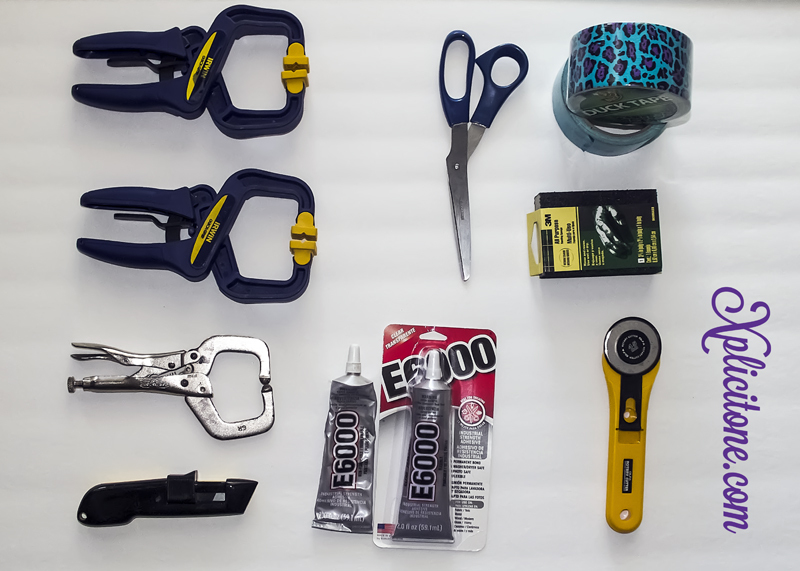 The fact that you’ve used duct tape, allows you the option of removing it and reapplying it. At this current moment, my duct tape hasn’t gotten that ugly yet but once it does I will post an update blog article on the removal & re-apply process. 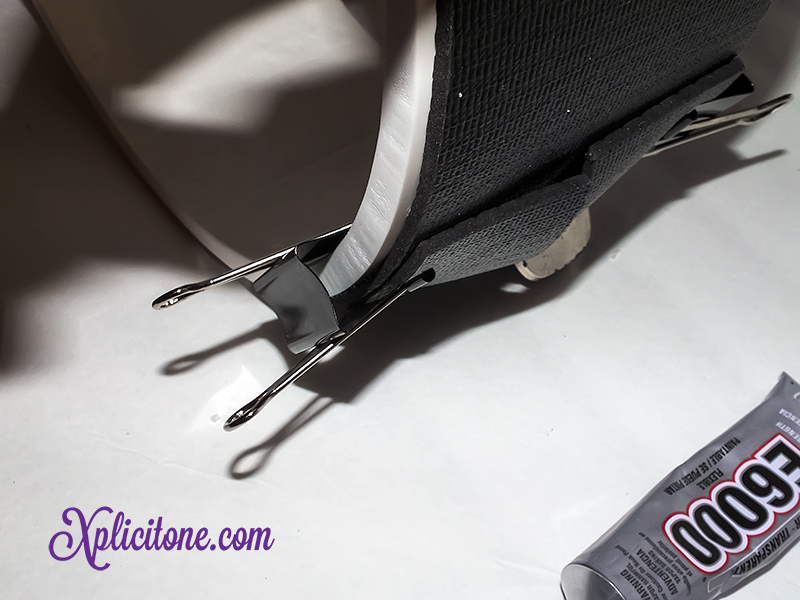 To remove the sticky adhesive the tape leaves behind you can use Goof off, Rubbing alcohol or soak it in soapy warm-hot water to aid in the removal the residue. FEEL FREE TO SHOW ME YOUR YOGA WHEEL CREATION!! !